2014 was a watershed year for Hong Kong’s pro-democracy movement and the press—during the nearly three-months of street protests, the former found new confidence and belief, while the latter clammed up under pressure from China and the pro-Beijing Hong Kong government. Two international non-governmental organizations, PEN American Center and the International Federation of Journalists (IFJ), released reports this month warning of Beijing’s “intervention” in Hong Kong’s news media. 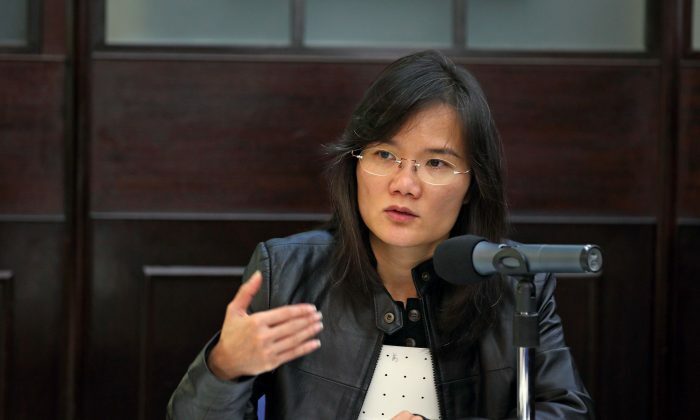 At IFJ’s annual China Press Freedom Report on Monday, the federation’s Asia-Pacific spokeswoman Serenade Woo noted that the Beijing has been “more frequently and openly” interfering in Hong Kong, a “very worrying” sign, South China Morning Post reports. Journalists and editors get invited to “drink tea”—a polite term for intimidation sessions—with Beijing officials; received numerous phone calls where they are either harassed or told to cover events in a specific way; and are sent suspicious emails that contain sensitive information about key figures in the pro-democracy camp, according to IFJ, citing three personal accounts of local journalists. One of the journalists, who goes by the pen name Lam Hei, held the local media’s coverage of alleged corruption by Hong Kong leader Leung Chun-ying and Apple Daily founder and pro-democracy supporter Jimmy Lai as an example of press manipulation. Leung’s scandal, which involved him receiving HK$50 million in consultation fees from a private company after taking office—a breach of the law—was scarcely given any attention by the press and even ignored. Conversely, Lai’s generous donations to pro-democracy lawmakers and activists was played up. Lam alleges that Hong Kong government officials advised journalists on the angles they should take in covering both corruption issues. In short, Hong Kong media has surrendered “editorial independence,” says Lam. “Most of the media didn’t offer resistance and even cooperated [with Beijing and the local government]… the Hong Kong media have already bent a knee,” Lam concluded in his account, which was republished in local news website Stand News. Hong Kong is ranked 61 in the Press Freedom Index by Reporters Without Borders in 2014—27 places down from 34 a mere four years ago.